Before or after a concert in the Philharmonie de Paris or at the Zenith, make a tasty snack at the restaurant "Warehouse" located just opposite. Guests can enjoy quality French cuisine that will awaken your taste buds. The warehouse is located in a cozy setting for meals with friends or business dinners close to the Parc de la Villette. Choose a brasserie, a la carte or a menu to taste different flavors of quality dishes. On sunny days, enjoy one of the terraces, in the heart of a quiet courtyard and opposite the Parc de la Villette close to the Cité des Sciences and the Geode. You can also relax in the warm and intimate lounge bar time an afterwork or for any other occasion. 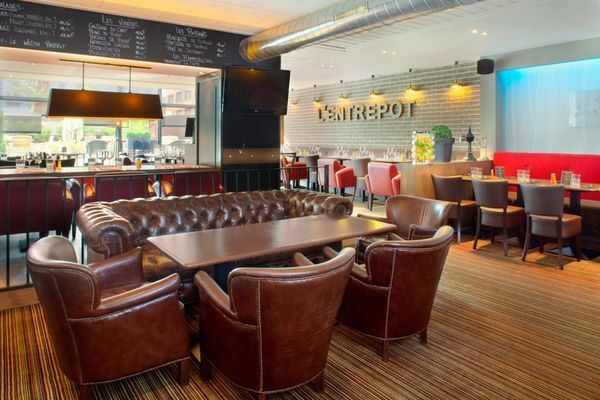 There is no review about L'entrepôt, be the first to leave one ! METRO LINE 5: station "" Porte de Pantin ""
BUS LINE 150: station "" Porte de la Villette ""
Velib 'and AUTOLIB close "